Large reddish brown flat dish or bowl. Final Neolithic. 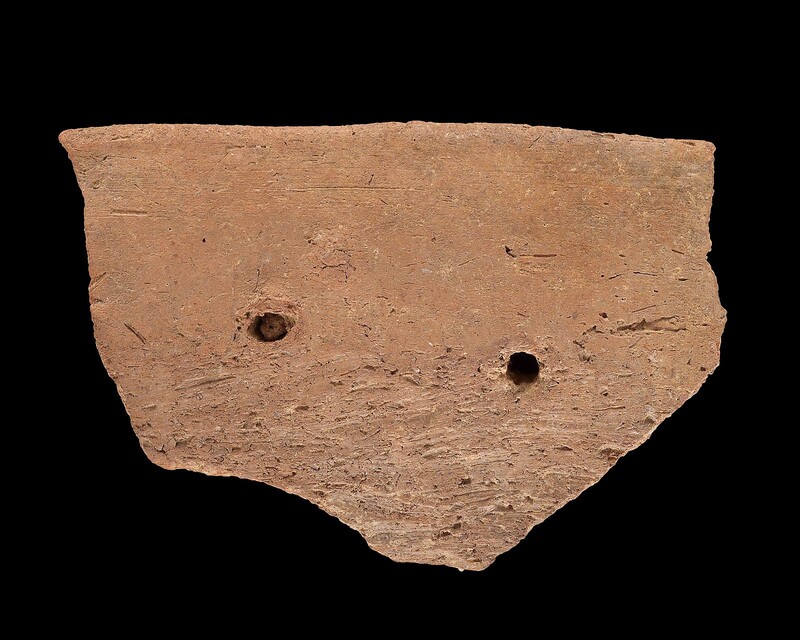 Thick straight rim, slender body wall; coarse gritty clay with air holes; pierced with two holes set crookedly in the wall where the rim starts to curve under; plug of clay still in left hole.